In recent months, I am sure we have all been in a checkout line somewhere swiping our card and heard the reader machine yell at you in some unidentifiable growl. “Oh that card has a chip, it needs to go here,” the cashier says pointing to the bottom of the reader. 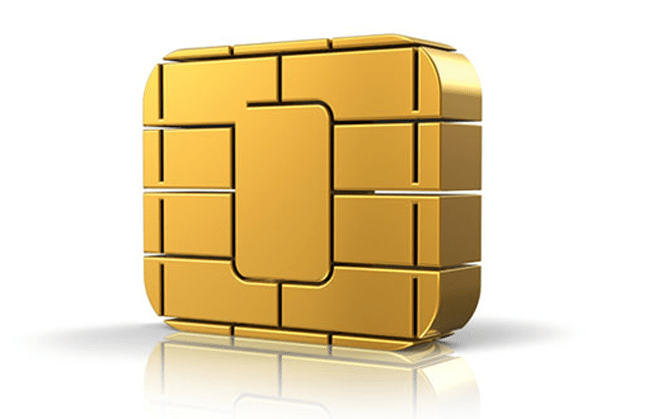 That chip is EMV technology. It stands for Europay, MasterCard, and Visa and it’s currently the global standard for cards equipped with these computer chips. Chances are if you don’t already have at least one card with it, you soon will. While the technology has been the norm throughout Europe for almost two decades, the US is just now rolling it out phasing out the old strip reading swipe and sign cards, we have become accustomed to. Because we are just now rolling out this technology, the US leads the way in instances of credit card fraud, identity theft and economic information security breaches. For example, how often do we get calls from our bank asking us to verify our last five transactions due to a security breach or worse yet we try to pay for something and our card is declined because it’s been deactivated by our financial institution without our knowledge? EMV technology aims to reduce that, if not eliminate it by creating a different transaction code with each swipe making it virtually impossible for your card to be replicated and used by someone else. What does it mean to be EMV compliant and how does it benefit small business owners? In October 2015, EMV standards were rolled out and imposed on US merchants. If you accept credit card, you fall into that merchant category regardless of your business size or the type of business you own. That means, as a small business owner, and you take payments via a card terminal or swipe mechanism, not having EMV compatible equipment could render huge risks and liability despite the fact that EMV chip cards can be used on the old readers. As of August 15, 2016, the fraud liability shifted (only for Quickbooks Point of Sale for now) so now when fraud is committed, the liability is determined by what technology was used to complete the transaction. In other words, if your customer swipes their chip card on your non-compliant “swipe and sign” equipment and future fraud is committed, you and your business could be held liable for any fraud committed against that card. This is because you, as the merchant, willingly put your customer at risk. While some businesses such as Target can bounce back from that kind of security breach, as a small business owner, that could be detrimental to your reputation and catastrophic to your livelihood. So how do customers with QuickBooks Point of Sale Desktop ensure you are EMV compliant? Upgrade or Purchase QB Point of Sale v18. Click here to view pricing. Verify or sign up for a new QuickBooks Payments account that is EMV compliant. Purchase an IPP350 EMV ready Pin Pad that is configured for QB Point of Sale v18. It’s simply a matter of having the right Point of Sale equipment and/or desktop software. While the additional expense of upgrading may seem daunting at first, because more and more consumers will be using chip cards, having the right equipment that can read them only protects you, your business and your customers in the long run. If you aren’t sure you are compliant or want to upgrade to get compliant, schedule a complimentary consultation with one of our team members at Complete Business Group, we specialize Intuit Quickbooks Point of Sale products and one of our representatives can help guide you to the right options so you can begin protecting your business and your customers.